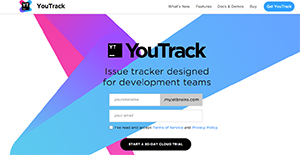 YouTrack is a product of JetBrains and this solution combines commercial browser-based bug tracker, issue tracking system, and project management capabilities into one neat and comprehensive package. The system offers a query-based issue search functionality with auto-completion and enables users to manipulate issues in batches, customize the set of issue attributes, and create custom workflows. YouTrack has a smart search function that enables users to quickly find the information they need thanks to auto completion. It also offers short cuts that significantly accelerate mundane processes, greatly improving one’s efficiency and output. Users can also closely monitor every project and team action via personal live Dashboard. With YouTrack, users can get insights and track progress of every project with powerful reporting tools, enabling them to make better business decisions and effectively implement strategies. No time will be wasted as YouTrack helps manage and allocate time with its time tracking capabilities. Every company has different requirements and needs a system that can be customized for their size, type of staff members and customers, and the specific industry they are in. For these reasons, no platform can offer perfect features out-of-the-box. When you look for a software product, first be sure what you require it for. Read some YouTrack reviews and ask yourself do you need basic features or do you want complex tools? Are there any industry-specific functionalities that you are searching for? Get the answers to these queries to help your search. There are multiple factors that you need to consider and these include your budget, specific business needs, your company size, integration requirements etc. Take your time, check out a few free trials, and finally choose the system that provides all that you require to enhance your organization effectiveness and productivity. How Much Does YouTrack Cost? We realize that when you make a decision to buy IT Management Software it’s important not only to see how experts evaluate it in their reviews, but also to find out if the real people and companies that buy it are actually satisfied with the product. That’s why we’ve created our behavior-based Customer Satisfaction Algorithm™ that gathers customer reviews, comments and YouTrack reviews across a wide range of social media sites. The data is then presented in an easy to digest form showing how many people had positive and negative experience with YouTrack. With that information at hand you should be equipped to make an informed buying decision that you won’t regret. A flexible platform intended for bug tracking. What are YouTrack pricing details? What integrations are available for YouTrack? Pros: I like the flexibility of YouTrack. You can completely make customizations while letting you add ins sections and options for each you might need to seamless fit with your business. I like their bug tracking. Cons: It can be complex at times. But as I would put simply put it: with a great product comes a perplexing set of complexities! I do hope they can tone its complexity down in such a way it wouldn't overwhelm new users. Pros: There are lot of things I like within YouTrack, like flexible search bar and agile boards and I like that it works fast and it is adjustable for custom workflows. It allows you to create custom fileds and program custom logic. It has great options for task management, comfortable tasks overview and for navigation. Cons: There is no pause and play timer for working hours. Also, the time and general reports are not flexible. In addition, the project overview is not implemented and this means that it doesn’t provide any data for a project. If you need more information about YouTrack or you simply have a question let us know what you need and we’ll forward your request directly to the vendor.